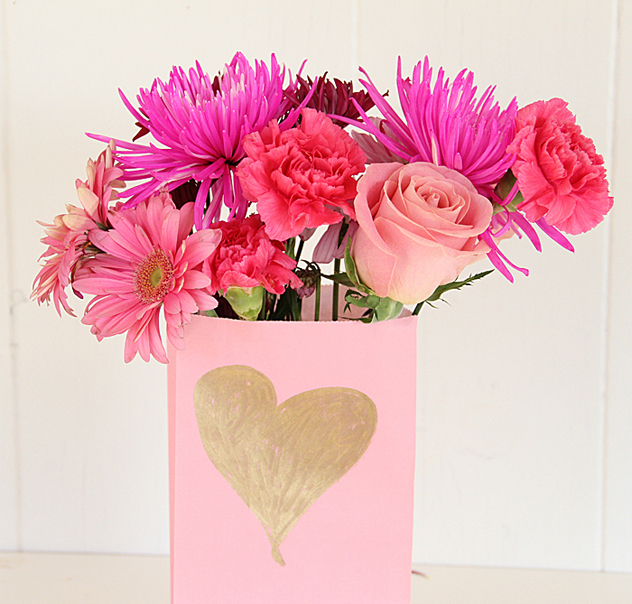 My paper bag vase was one of my most popular DIYs last year and it is also a personal favorite of mine, so I wanted to revisit the idea with another simple twist. 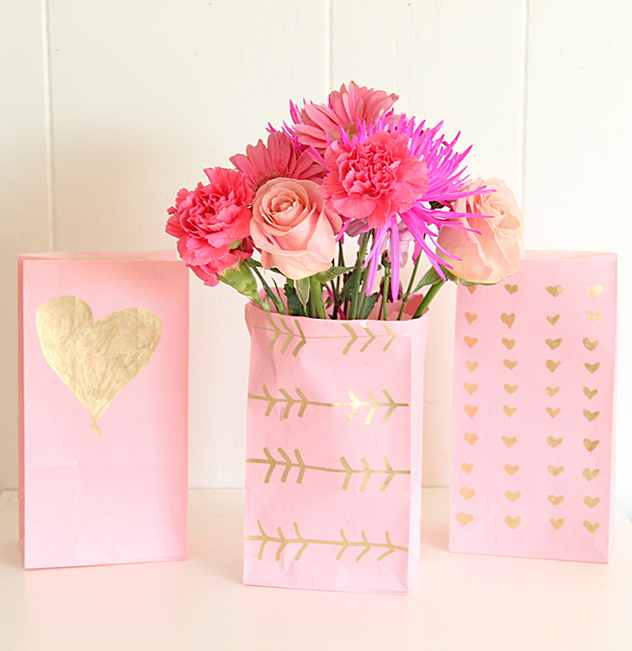 Create a design on your paper bag- whatever your heart desires. 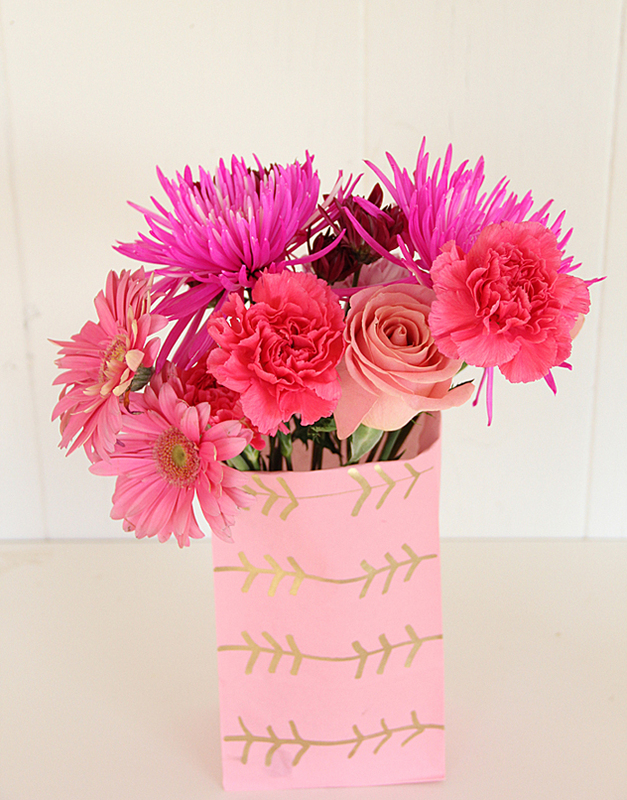 It’s best to use a tall glass vase inside the paper bag. 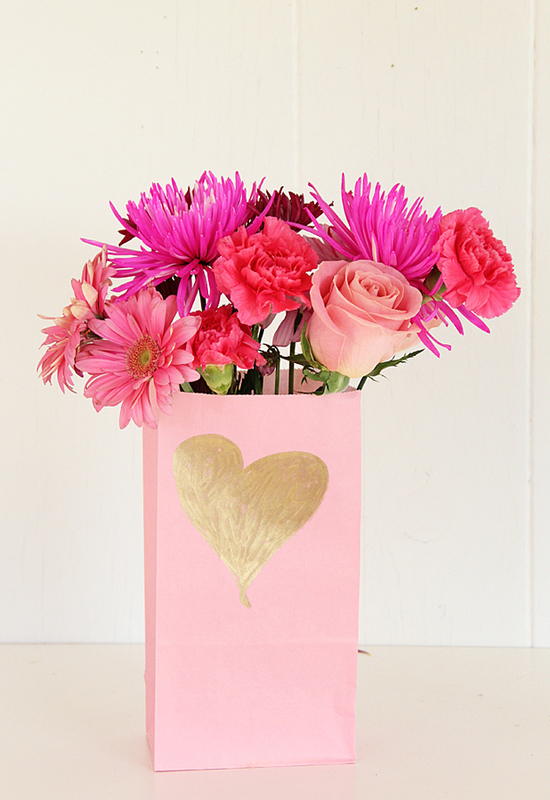 If your vase is too short the flowers will hang too low and push the bag down.